In law, it seems that there is never an absolute. Definites seem to always have exceptions, and loopholes abound in even the most seemingly common sense and unconditional language. So is the case with trust law. You may think that the term irrevocable trust means that the trust is, well, irrevocable. You may assume that it’s permanent, and as well that you should. An irrevocable trust carries with it numerous protections, especially against creditors. The idea that you can’t change, use, alter or deplete the assets in an irrevocable trust demonstrates the characteristics which prevent a creditor from also touching those same trust assets. Allowing someone to just change the conditions of an irrevocable trust makes it revocable, and risks losing the trust’s asset protection qualities. But the law also recognizes that it has to bend to allow for the uncertainties that everyday life brings. Changes in situations often create a need to change the terms of an irrevocable trust. Maybe a trust leaves property to someone when he turns 18, but now it seems like a better idea to wait until the beneficiary turns 21. Maybe tax laws are such that the distribution schedule should change. 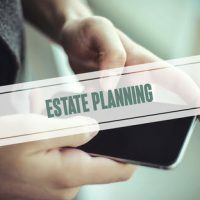 But because of the seriousness and significant policy reasons for avoiding changes to irrevocable trusts, it was long the case that a judge had to give permission to change the terms of a trust. That means hiring a lawyer, court expenses, and a longer, potentially more expensive process. You couldn’t just change the document on your own. But Florida law, along with those of some other states, does provide a very limited way that trustees can change or alter an irrevocable trust, without having to go to court, and without jeopardizing the trust’s protections. The process is called decanting. Florida’s decanting statute allows a trustee to “pour” the assets of an irrevocable trust into another trust, even if that trust has different terms, so long as the beneficiaries of both trusts are the same. That means that the new trust not only can’t delete beneficiaries, but it also can’t add them. It also can’t create new requirements that may prevent someone from getting trust property—for example, creating a new requirement that someone will only get trust proceeds when they get married, if that requirement wasn’t in the original trust. So decanting only works for modifying terms of a trust, not for modifying who gets what. There can also be no changes to any fixed income provided by the trust, and all beneficiaries need to be notified by the trustee sixty (60) days before the changes. Decanting, which is simply the transfer of assets from one trust to another with minor changes, can be an effective asset and estate planning tool, that can avoid the necessity of judicial intervention. Contact Tampa business attorney David Toback to discuss a comprehensive trust and estate plan for your family.